While travelling along Galicia’s Costa da Morte recently, I visited a number of lighthouses – of which, more in a later post, I hope. But they were not the only structures that stood tall along the coastline. 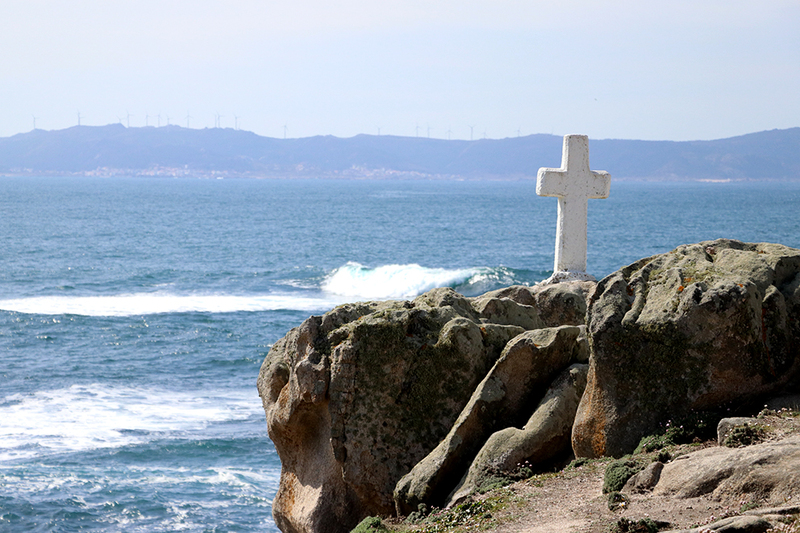 There were radio masts and towers dotted about, as well as a fair number of monumental crosses, which didn’t surprise me given Spain’s Catholic culture and the deadly fame of the coast. 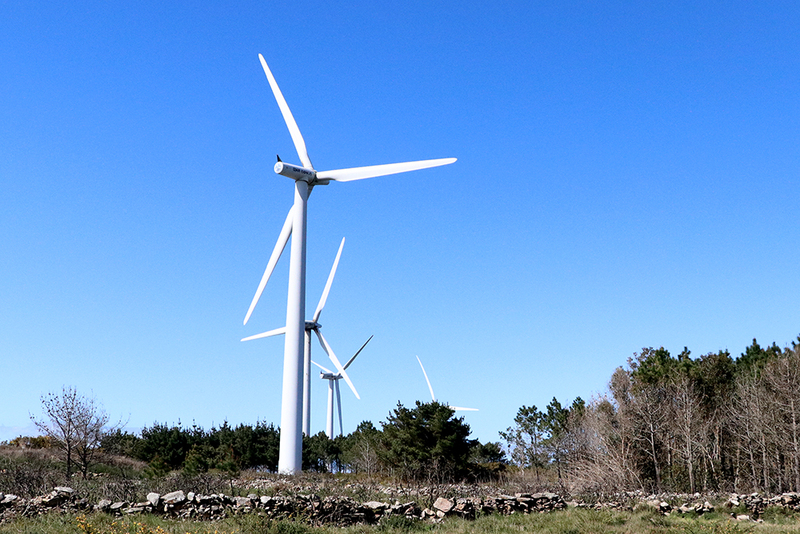 I was, however, slightly surprised to find that on almost every point, there was also a parque eólico – a windfarm. 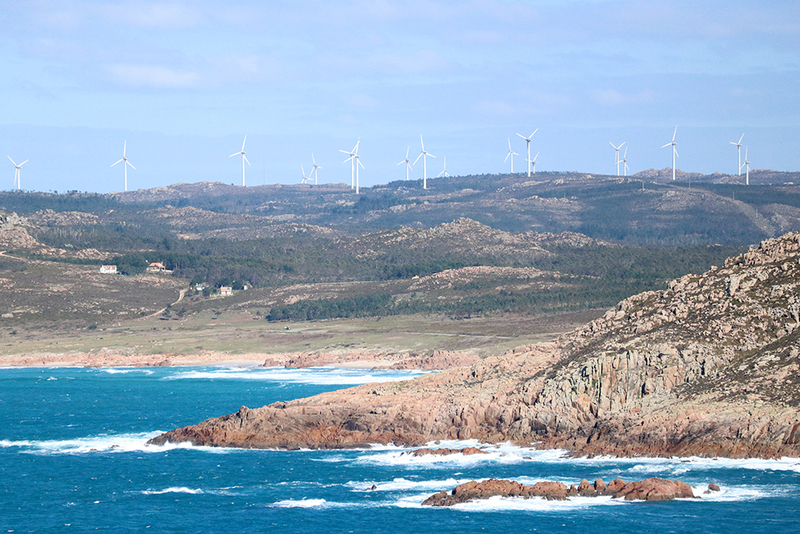 The great white giants dominated skylines and were visible for miles, from headland to headland, across the rías. 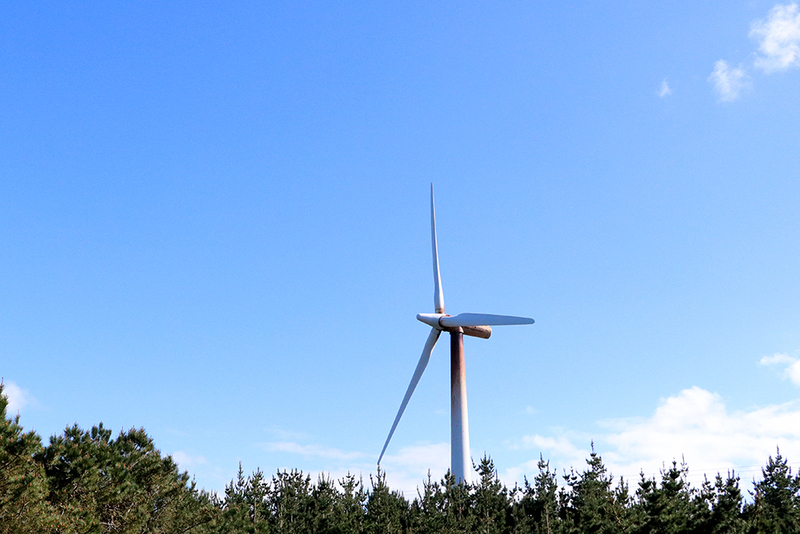 I’ve often seen wind turbines from a distance, but never been near one, so although I was really more interested in the faros, I was also happy to get a closer look at the great three-armed monsters. 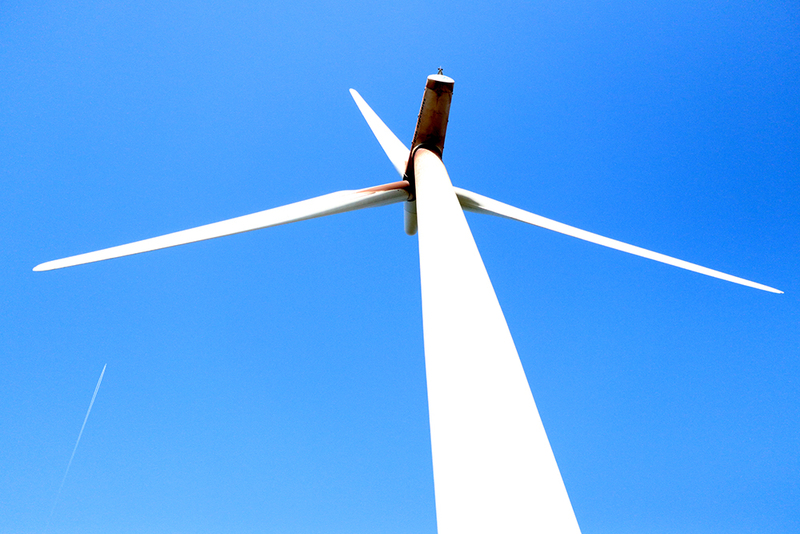 Unless you’ve stood underneath one of them, it’s almost impossible to imagine just how huge they are – and just how noisy they are, too. I’d thought that despite their size, they were clean and elegant, but in fact many of them are rusting and corroded, with a reddish tinge that does nothing to correct the Martian associations when they loom menacingly over rocky outcrops or peer down at puny trees. 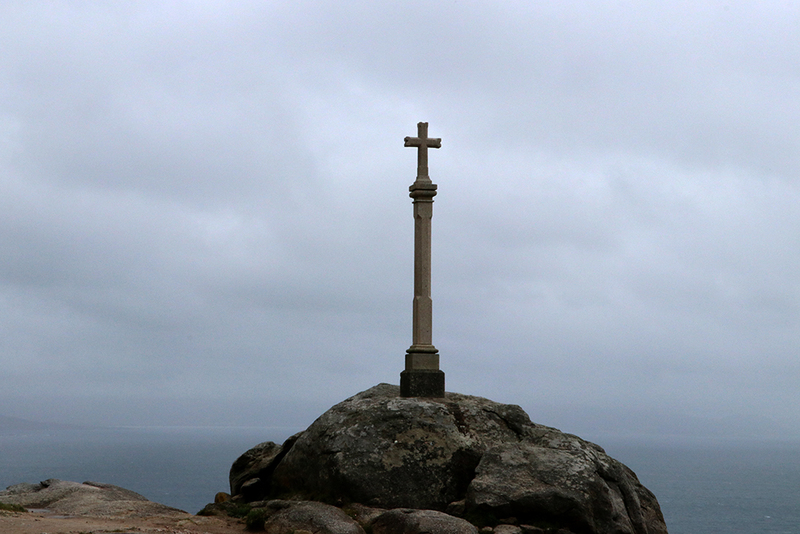 It seemed in places as if the traditional cross on the headland was openly confronting the modern monsters across the water. 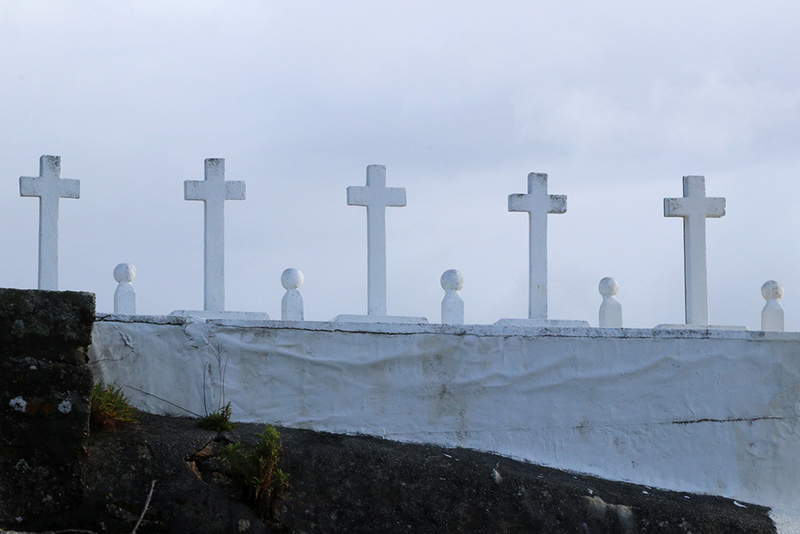 In particular, there was one little local churchyard, set high above the Punta da Barca, where the crosses appeared ranged in staunch defiance. 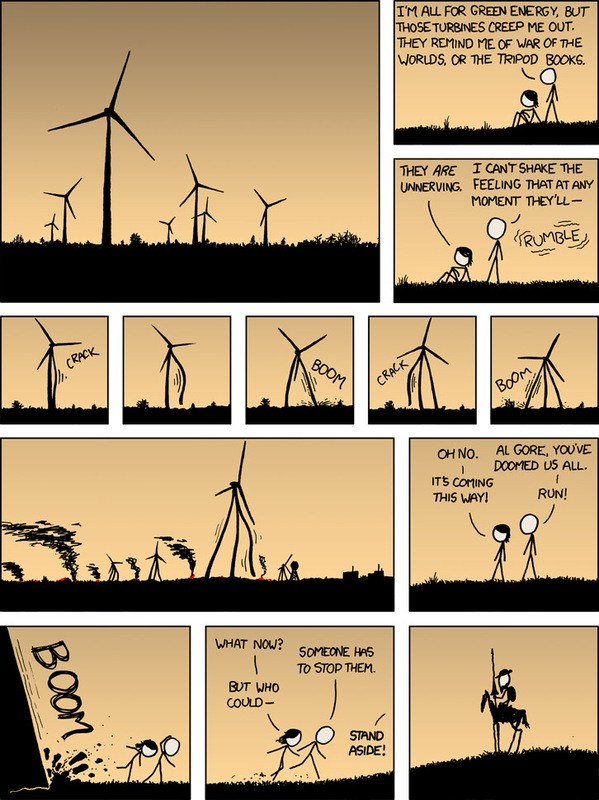 The only poem I have with a windfarm in it has been posted here a couple of times already, so I will end with an eminently relevant comic from Randall Munroe at XKCD. Now there’s a film Terry Gilliam could make. I think that might be terrifying. Not necessarily in a bad way.